I moved to Vancouver's Olympic Village in 2010 right after the Winter Olympics took place. The original village was built in false creek on previously zoned industrial land. These buildings were rather expensive as pre-sale units with some fetching well over $1000/sqft at the time. There were certainly some issues with build quality, inluding heating/cooling and water problems. The developer took a lot of heat for these issues, and many new owners felt they had overpaid for their condos. With all that being said, aside from my HVAC never working well, the Brook (furthest SW building) was a nice place to live for almost 5 years. The location is really quiet and perfect, as it's like a sanctuary next to a park within the concrete jungle we live in. Fast forward 7 years and condo construction is still booming in the Olympic Village/ SE False Creek area. Countless cranes fill the sky and the neighbourhood no longer feels like a ghost town. It is now an extension of downtown living and new condos are again well over $1000/sqft and counting. A couple years back I moved a few blocks east to a new building built by Cressey called the Meccanica. I love the industrial modern theme, high ceilings, and smart layout of my condo here. It seemed expensive when I purchased it as a pre-sale, but since then prices have gone up another 30% or so. It was certainly a good lesson in real estate - get into the market as soon as you can and stay in it for the long term. Love it or hate it, homeowners tend to have a much higher net worth than renters, and a lot of that relates to the increase in prices over time. Most of the Vivid Mortgage team all live in the false creek neighbourhood. We all work from our virtual home offices and are available for meetings downtown or in and around the Olympic Village. JJ Bean on 1st/Columbia is a nice, casual spot to grab a coffee and discuss your mortgage options. We are very 'bullish' on this area and recommend it to prospective buyers as a great place to live. From the produce at Urban Fare, Ice Cream at Earnest, and Burgers/Brew at Craft, all steps from the Seawall, there's so much to love about Vancouver's best new area to live in. 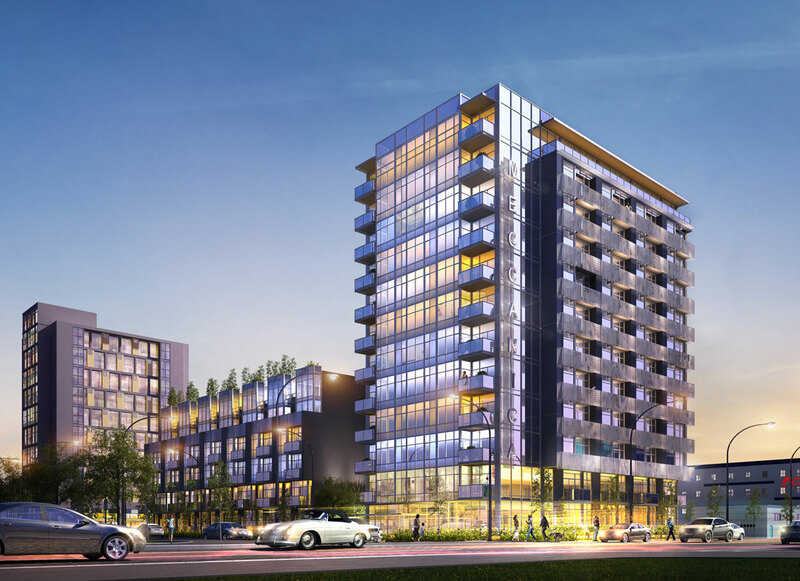 Vivid Mortgage offers home buyers top quality mortgage products, with a focus on False Creek's Olympic Village. The biggest advantages we offer over the banks are better products, lower penalties and more expertise. Contact us today to discuss moving to the Village!